We are officially in Lent. In layman’s terms, this is a season to seriously acknowledge that we are not perfect…Shocker, I know; that we may just be sinners, maybe…; and that we may just have a need for God, that we cannot, should not, go it alone. Change those things that keep you from Hope, that keep you from Love. Change. Leave all those burdens, stresses, pain, anger, frustration, everything, leave it all at His feet. Leave behind all those things that lead you away from living in Peace, Joyfully. Get to know Him. What He truly says, not just what the media or your friend’s friend says He says. I know that speaking about faith is becoming more and more taboo difficult. Christians are being called every dirty word under the rainbow. We are being called intolerant, bigots, hateful, you name it, and I’m keeping it clean. But you can’t let this stop you. Ask someone about Church. Go to Church! Talk to the Priest after. Even one of the Ministers. Someone can direct you. Dude! You can even just grab a bulletin and look at the Ministries and see which one speaks to you. Do what you have to do in order to get to know Him. 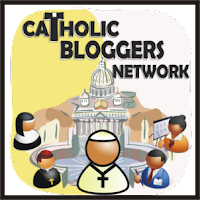 Some sites can be intimidating, like the Vatican’s, but it is a great resource. I also like EWTN’s Called to Communion. His show is pretty good. Easy to understand. And there are so many more. But as with all things, not all Catholic Resources are truly in full communion and take liberties and interpret to their convenience. But I digress. Pray. Prayer is conversation with God. Sit in silence with Him. Sit before him in the Tabernacle, or if you are near a Parish with Perpetual Adoration, even better! At worst, hit me up!